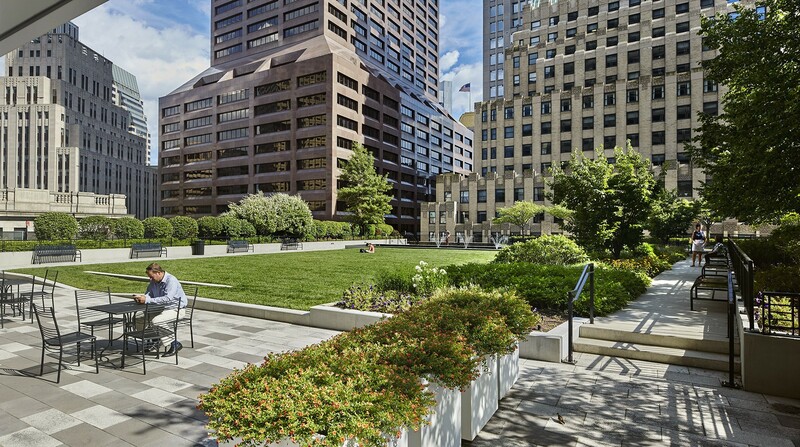 CRJA-IBI Group worked with the project architects to improve the existing underutilized roof top garden space on top of the 9th Floor of One Federal Street, one of Boston’s preeminent high rise office buildings. 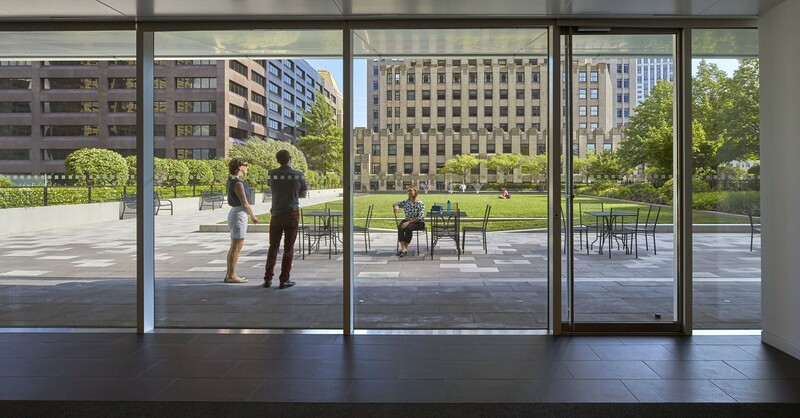 The goal of this renovation effort was to create a usable indoor/outdoor space for the tenants of this office building in Boston’s Financial District. The outdoor space was redesigned to accommodate a variety of programmable uses, including casual lunch gatherings, awards ceremonies, cocktail parties, and weddings. 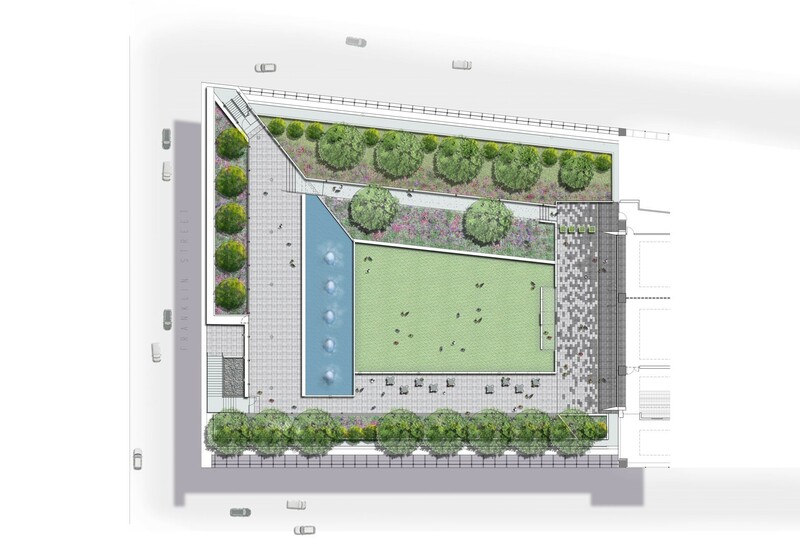 To achieve these flexible garden uses, the final design provides for universal access, a large open space for gathering, pedestrian scale paving zones, and a strong, simple planting palette that can be easily maintained. 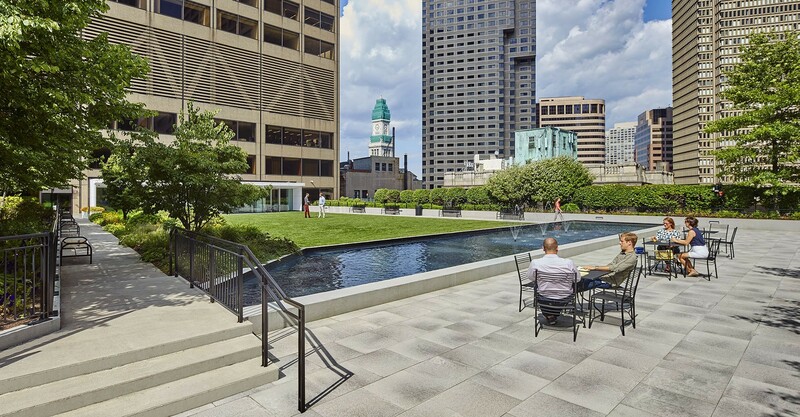 Structural evaluation of the existing concrete deck was undertaken to determine its load bearing capacity for new landscape elements that included new paving, walls, curbs, planting loam and plantings. The existing drainage system was evaluated by an MEP engineer to ensure that modifications/replacement could occur simultaneously with landscape enhancements.